Full Service Florist. 100% Satisfaction Guaranteed. Family owned and operated for over 30 years. Specializing in high style arrangements, weddings, & parties. Something for everyone's taste and budget. When you want the best, call Nancy's! Serving the entire Portland Metro area, including all hospitals and funeral homes, with prompt & dependable delivery! 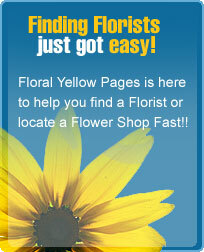 Fresh local exquisite floral art since 1984. Orchid plant specialist. Fruit and gourmet baskets delivered twice a day in the greater metro area. Local handmade chocolates available. Full Service Florist. Satisfaction Guaranteed. Family owned and operated for over 50 years. Specializing in unique and custom arrangements. Something for everyone's taste and budget. Flowers for all occasions. Serving all hospitals and funeral homes.